arp -a = this show the mac address table on the local machine for the devices it’s “talked” to on the network and has saved in memory. Once you reboot this table clears. 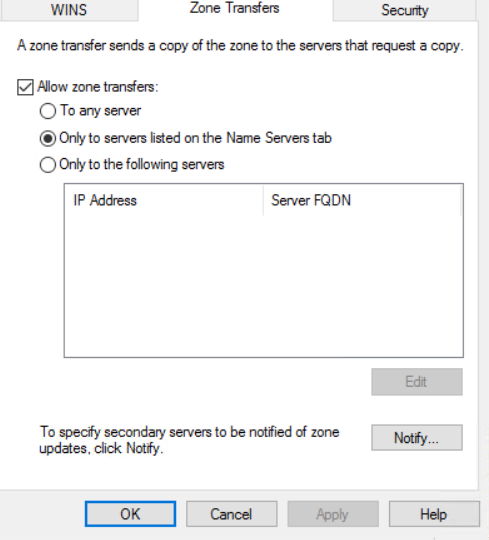 nslookup [internal IP or external IP or FQDN] = this commands allow me to resolve internal or external dns names to see what address come back, if the response on local addresses comes back with a :unknown: this means that reverse DNS lookup is not setup. 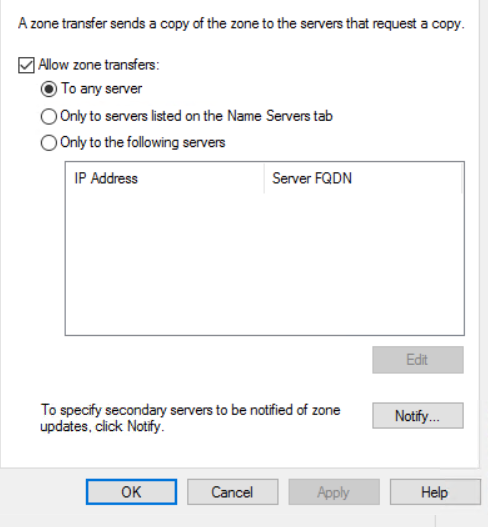 Below is an example of what a blocked zone transfer looks like in a mock DNS server in the lab. Crap, they can do a zone transfer! – I’m fucked! SIEM systems are something more and more people are adopting to use with defense-in-depth and its a good move. The company I work for partners with a SIEM solution provider called SocSoter and they have these affordable units that you deploy on a network and it has an interface in every network device you desire. These device come in a few flavors, a VMS and SMA to name a couple. The SMA proactively monitors the network that it’s mirroring and allows for syslog monitoring of switches and storage appliances including taking Windows Server Event logs. On the flip side the VMS does proactive vulnerability scans of the network to find problems with the network/systems and provides steps on how to fix them. I’d like to discuss a few things around the classification of data types coming thru a firewall or security device. I think pretty much even know the slang of false positives, but there is in-fact 4 types. As a form of motivation and because I’m finding with work being so crazy busy I’m having less and less time to devote to studies. But I’ve made a plan for me (been working this plan for about a month now) to read 2 hours every day either in the morning or at night (considering most nights I don’t go to bed til 11 pm for either work projects or reading) and then wking up at 4 to 6 am to study takes it’s toll on me. But I’m on the last 5 chapters of review with the CompTIA CASP+ exam and I plan on taking the exam in the last weeks of January, so I’m committed to this journey, not stopping now! I know this has been a 5+ month charge but I had no idea the CASP book, CAS-003, would have so much technical knowledge in it, moreso than the CompTIA CySA+. I love reading the book but my brain feels like it’s going to explode. I do feel more relevant and useful in my day-to-day though after reading, labbing, and studying the material and it’s funny all three of those doesn’t even touch that I do use 60% of the CASP’s content daily at my job. So that right there just goes to show how much of it is relevant information. Recently went to a CompTIA CIO Roundtable discussion in NYC, yesterday in-fact, and it was very interesting to hear CISSP’s talk about cybersecurity and how I don’t really want to be in management-level cybersecurity but actually in the trenches doing the 1’s and 0’s and that is where the CompTIA CASP+ shines. I look forward to the journey in the technical side of cybersecurity. So just want to share some things for you to make sure you have enabled to ensure the best possible security posture on your network, just a few tidbits. 2. Make sure that your firewalls on the WAN/LAN ports block ICMP requests. This way when someone does a tracert of your DNS servers or network they can’t resolve any of your servers. Example: if you did a tracert of domain, typically the last two addresses are internal resources. if you do a tracert and then comes back with a * * then this means ICMP is blocked; this is what you want! 3. Make sure on routers that you have CHAP authentication enabled for all routers and L3 switches that share routing typically the command to enable this (like on Cisco) is “encapsulation ppp” and then the two modes are PAP which send the password in cleartext or with CHAP (the preferred method) which doesn’t send the password in the clear but instead salts the password so that routers and L3 switches with the CHAP can validate that the device is authorized to update the routes and routing tables, this way you can prevent routing tables from being poisoned with false routes from rogue routers and man-in-the-middle attacks. 4. A useful tool for malware sandboxing, vulnerability assessment and SIEM is a appliance provided by SocSoter and those interested should seek them out. Honestly going into the exam I thought I flunked it. But after just 40 minutes I got done with all of the questions, I had all of the simulation in the beginning and from past experience flagged them all and went on-to the questions. This saved me a bunch of time, but time I actually didn’t need. They were easy simulations, I just hyped myself thinking they were harder. I really enjoyed the prep work and exam, I feel much better about security and now being 3 years since I took the Security+, it was a nice fresher. 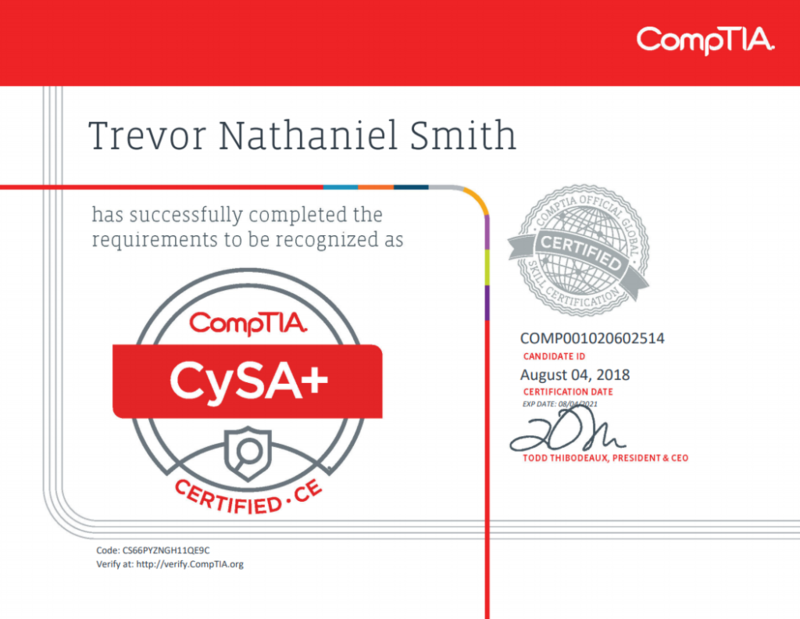 The knowledge gained for the prep and learning I’ve been applying in my day-to-day and I want to go onward into the CompTIA CASP and the newly drafted PenTest+ course. For now since the PenTest+ is so new, as in this month, I’m going onward into CASP. I think that cyber security is a big issue in IT and I felt the need to get my foot in the door. 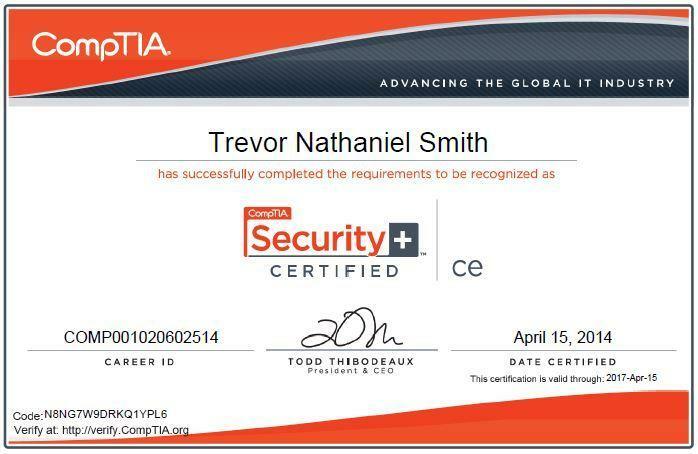 If I want to work in the cloud, I really need to make solutions that accomplish the results customers need and at the same time have the level of security required to protect assets from external attackers and to mitigate these threats, the CompTIA CySA+ helped me in this area. 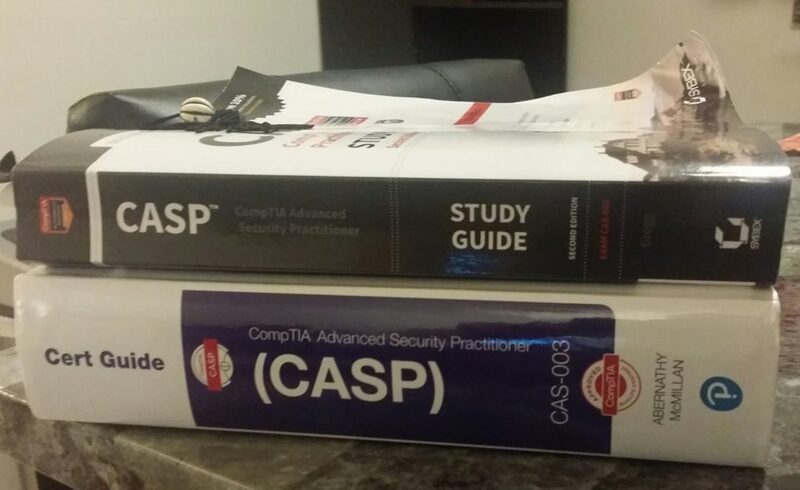 My goal for the rest of 2018 is to pass the CASP and the Microsoft 70-413 exam. 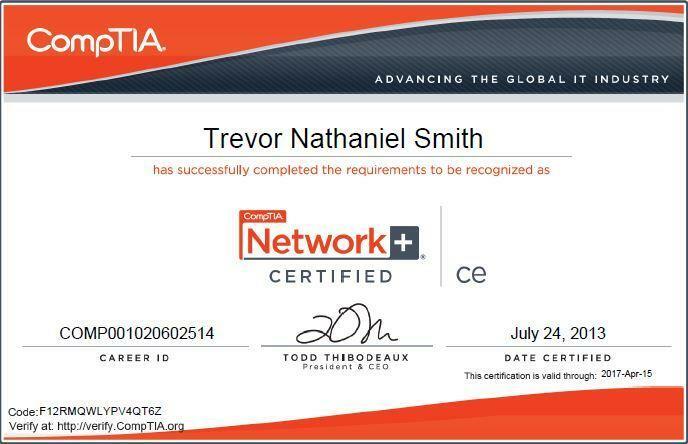 This way I get a VCP6-NV, CompTIA CySA+, CompTIA CASP, and a Microsoft MCSA: 2012 for 2018. 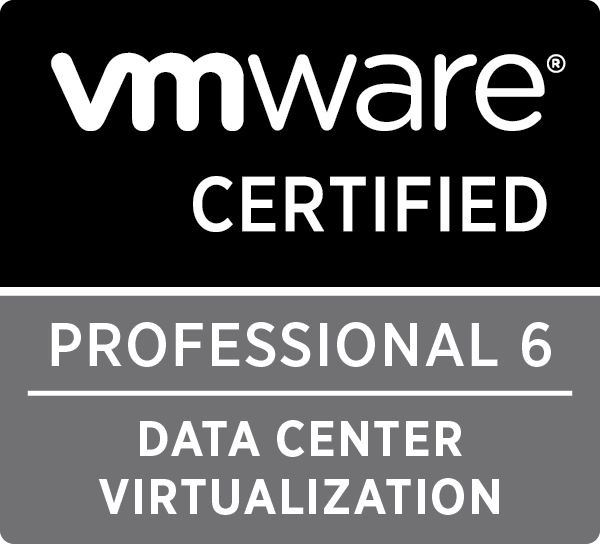 In 2019 I’ll wrap up with the MCSE: 2012 and then recertify the VCP6 to VCP6.5-DCV. 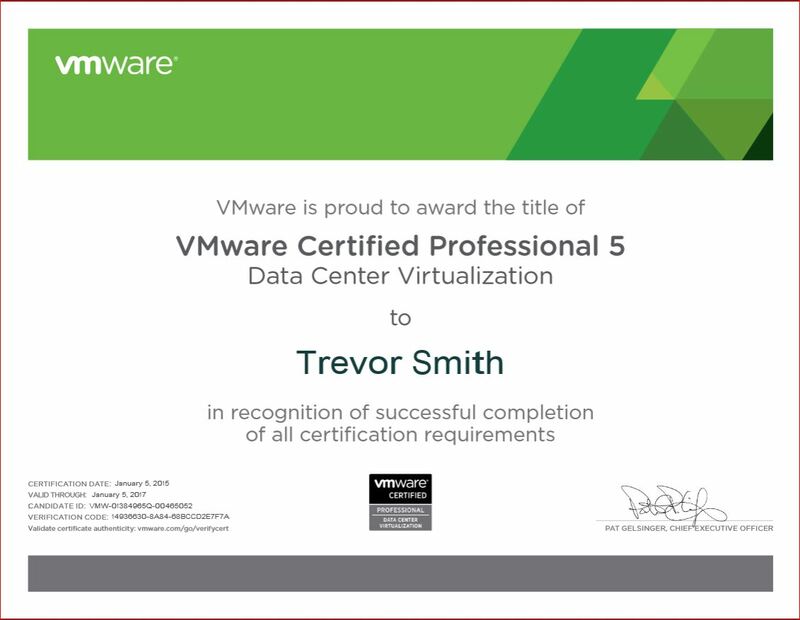 My goals for 2019 are: VCP6.5-DCV, MCSE: 2012, MCSE:2016, and VCP7-CMA. Maybe someplace in there I’ll do CompTIA Pentest+. 2020 will be CISSP, CCNA: R&S v3 and a VMware vCAP (undecided which one). So with me taking the CySA+ exam in a little over 2 weeks after many months now of studying and bringing myself up to speed with Kali Linux, I feel the need to make a new title for upcoming pages. All pages that are Cyber Security oriented will start with the tag “Cyber Security:”. I feel that in order for me to really stay relevant in the cloud that I really needed an intermediate to advanced knowledge of “Defense in Layers” and then how to penetrate those “Layers of Defense” so that I can provide defense from said attacks as I go about making cloud solutions moving forward. The biggest concern of all customers and providers alike is not only the cost of the cloud, moving to the cloud but more-so than ever the security around the cloud. 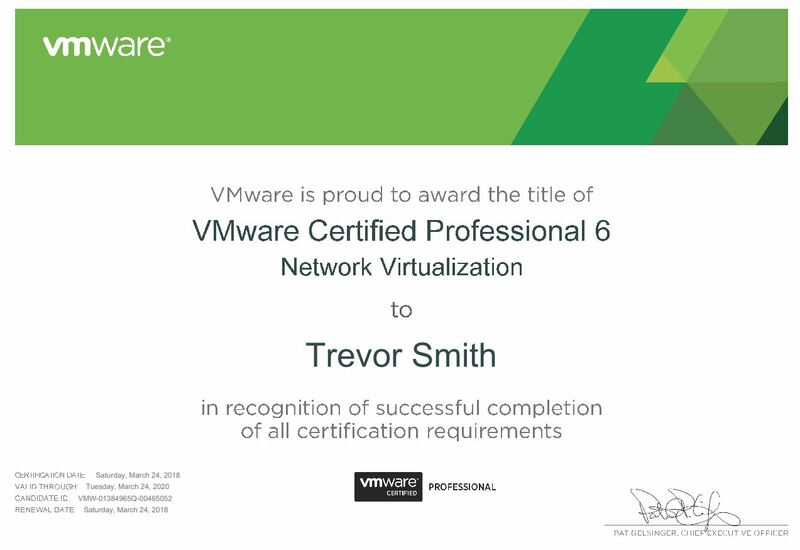 Well I did it, passed the VCP6-NV exam. it’s been an adventure and a journey. After failing the exam in January I was to be honest very disheartened by that loss and I was slow to get back on the bandwagon. Took me nearly 3 weeks to pony up the energy to study again. 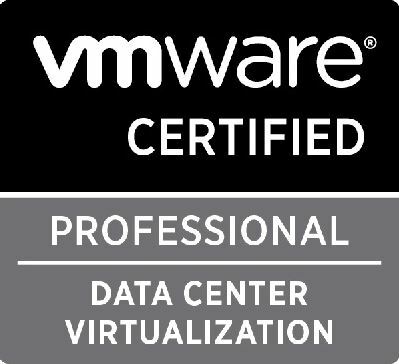 But study I did, from 2 am til 7 am every morning for 2 months after working out on the Bowflex Xtreme 2 SE I would study: labs, watch Pluralsight, read VMware press micro-books on NSX, and the official VCP6-NV book over and over again. Also read all of the NSX guides on the Kindle that I could muster. 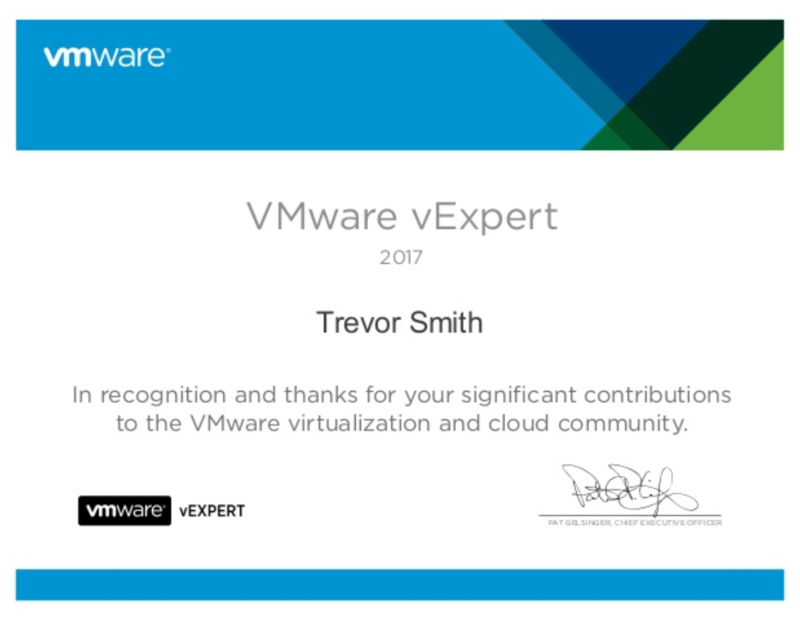 I’d like to personally thank Chris McCann who with Eva Leong at VMware the were gracious enough to provide me resources and voucher for me to take the exam, after all they did bestow upon me the VMUG NV package back in May of last year; it’s been a long journey, but fun along the way. I plan on now finishing up my MCSE:2016 track as I got some more to take, but I’d like to pursue the VCAP6-NV track or is it VCIX? O.o dunno the names keep changing. I will admit, having my Cisco background did help a little bit but more-so having an actual home-lab with Cisco and Netgear switches was even more useful, having those 10G switches and 10G CNA’s really paid off for labbing. So my goals for 2018 are smaller that 2017 but none the less intense. I currently working on the VCP6-NV study, after failing the exam last month by about 20 points. So I’m working very hard at studying to pass the exam in a litter over 5 weeks. After that I’ll be studying for the CompTIA CSA+ and MCSE: SI 2016, if I have time the AWS:SA. That’s my goal for 2018. it’s a smaller list than last year but no less focused. Once I get those 3 exams after NSX I’ll decide the path I’ll take next. I think VCIX-NV is my next goal with VCIX-DCA shortly afterwards. Sometime down the road CompTIA CASP and CISSP are on my roadmap but I need a few more years, for me, before I decide ot go down that path. 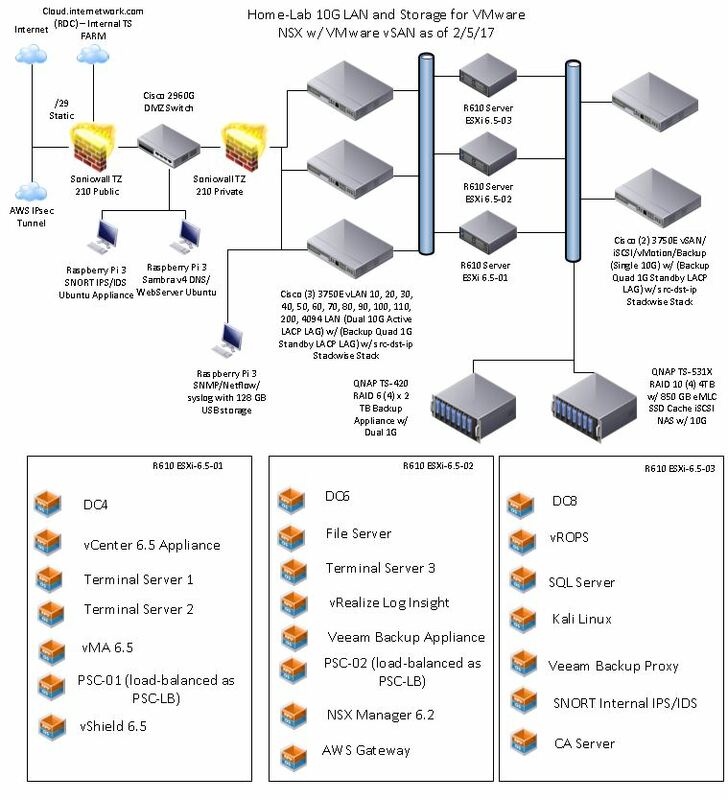 I’d like to make a fresh attempt at my CCNA: R&S and DC at some point and perhaps a CCNP just to have the knowledge when designing VMware infrastructures. On a personal note, my goal fiscally is to get 30k into savings and to invest 15k. For my health, I bought a Bowflex Total Gym and my goals with that is to get into fit and trimmed shape. I’d like to keep journaling daily, working on reading a leisure book a week, keep saving money, building my credit score upwards to 775, blogging on here more often, getting a few modifications for my new Subaru WRX, spending more time with my parents and dog, spending more time with my friends and doing a little bit of traveling. I’ve recently got into cooking, painting, and playing my grandfather guitar, so my list of hobbies just seems to keep on growing…. somewhere along the lines I hope to meet an amazing woman again after now being single for almost 2 years in April. But my goals aren’t on that part of my life as my life is very busy and focused and that’s most important to me. My goal by 2020 is to strongly consider buying a house. But this is my outlook for 2018.
so wanted to update the blog. Passed the 70-410 and 411 recently and onward to 412, then 413 and 414 for MCSE 2012. 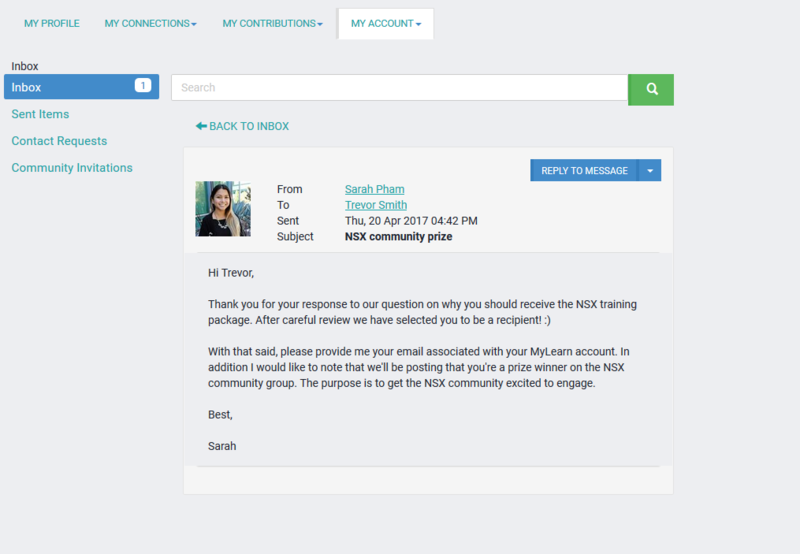 NSX Training added to VMware Training Portal! 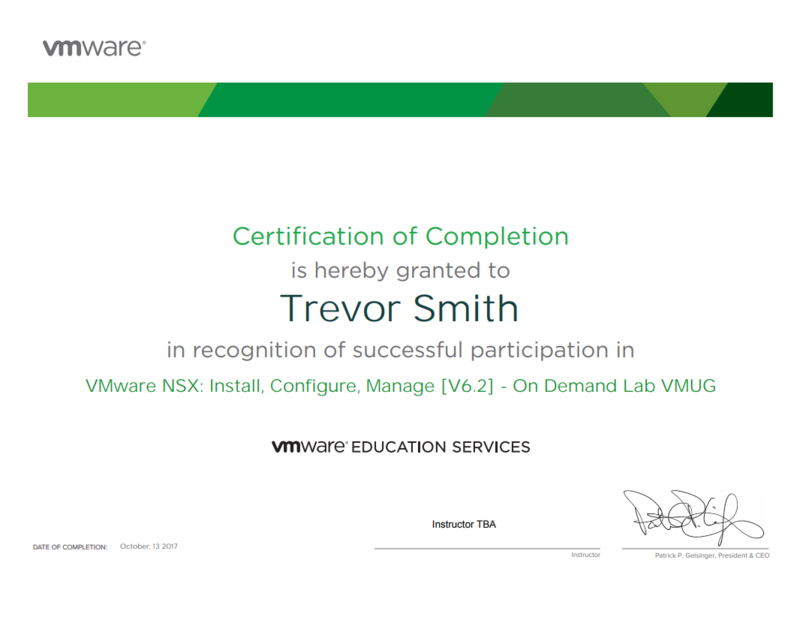 So now I can start using the VMUG NSX training and I’m stoked! – going to get deep into the books now and study even harder. Want to take exam in two weeks now that I got some ICM love and official training on-top of the Synex book I’ve read over and the labbing in the home-lab. This is just more icing on the cake! 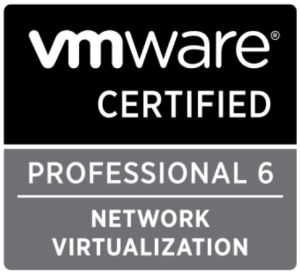 Won VMware NSX training for the VCP6-NV exam!!!! I feel that for the MSP world to really work, there needs to be a shift from private clouds to a hybrid with a public to public IaaS fabric that solves one of the biggest problems in IT right now, Security. 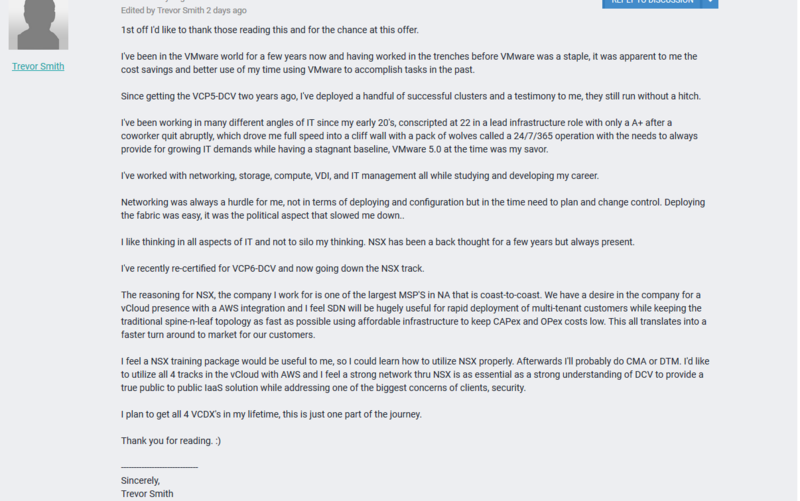 VMware NSX is one of the most secure public to public frameworks I have ever seen. It solves the problems we, as IT professionals face, in regards to the concerns of customers around security and this was expressed in the posting. Well, I was a little shocked this morning, as I got selected! Well after a few months of studying and failing the exam the end of December I wanted to pass it this time, so I blew away my home-lab like 5 times and did it in 4 different ways to make sure I knew the content. Took the exam on March 25th and passed the exam with a score of 383. VCAP? – one of them…. to-be-determined! So over the weekend I was labbing as per normal and I’ve been running into contention issues with my network and I think my tested and true Cisco 3750G’s are finally meeting their makers. The bonded Quad 1G connections over a vDS are starting to show slowness. I am kind of hammering the crap out of the lab. It gets very slow when I set DRS/SDRS to fully automatic and the whole backup storage goes to a crawl once those 1G links are saturated. So I think I’m upgrading the Dell R610’s to 10G for ISCSI and LAN traffic. The additional Sonicwall TZ 210 arrived on Wednesday, snagged it for $50, I think I’ll use one of the 3750G slim (1U) as the DMZ switch. I already have a QNAP TS-531X as my 10G-ready NAS, that is just being used at 1G on a dual bond. However I did kind of make an impulsive move with work and bought a TS-831X as-well as we get a steep QNAP discount at work. I think I might use the TS-531X as the new backup appliance and/or plex server. (4) Cisco Stackwise Cables – Have (2) already. The plan, for now, is to go solo 10G connections for both iSCSI/vSAN and for LAN traffic on both of the 10G ports on the 57711’s. I’ll setup Network I/O in Enterprise Plus 6.5 to manage the traffic. The pre-existing Dual Quad nic’s will be setup on the Storage 3750E’s in a Quad LACP bond as a standby link in the event the 57771 goes offline and like-wise for the LAN traffic. Each of the Quad LACP links for LAN and Management will most likely also be split 2-n-2 per Quad Nic so there isn’t only a Quad LACP but the traffic is balanced 2-by-2 across both Quad Nic’s. I like redundancy. As for the 10G links well maybe at a later date I’ll snag another 3750E and another 57771 per host and reconfigure traffic flows so storage will have redundant 10G. This network and storage fabric will be in two different stacks and the network will be a collapsed core. 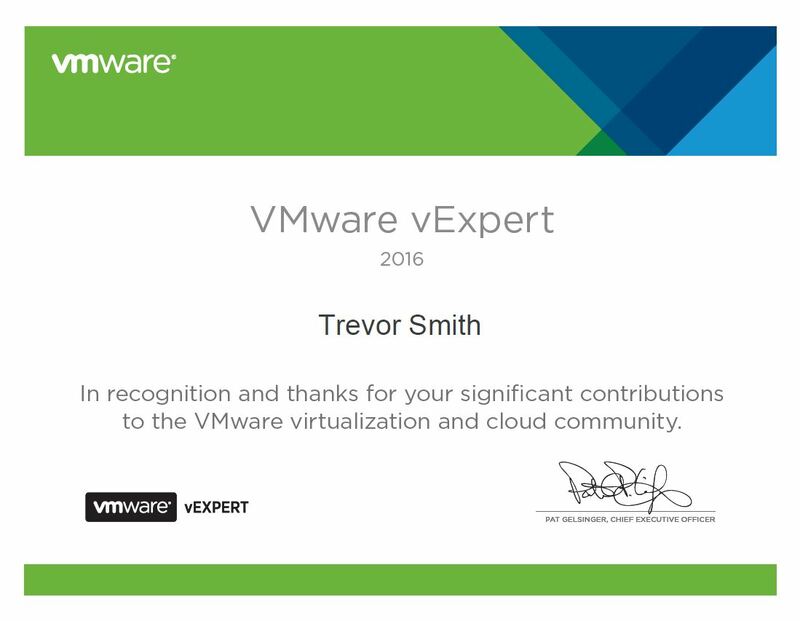 What is vExpert you might be asking yourself, and it’s a very valid question. 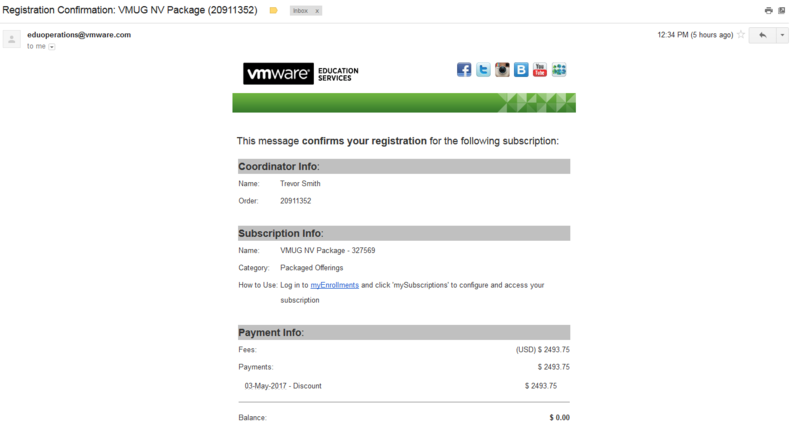 It’s an offering from VMware to people that follow the VMware community and are supportive of the products they provide. 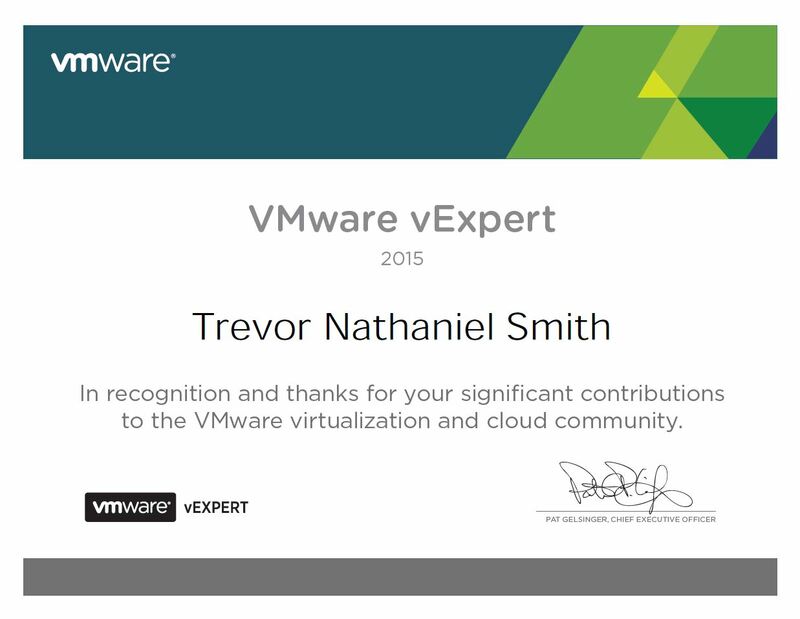 It’s also for people that speak of VMware products at events, in blogs, on forums, and in social media. 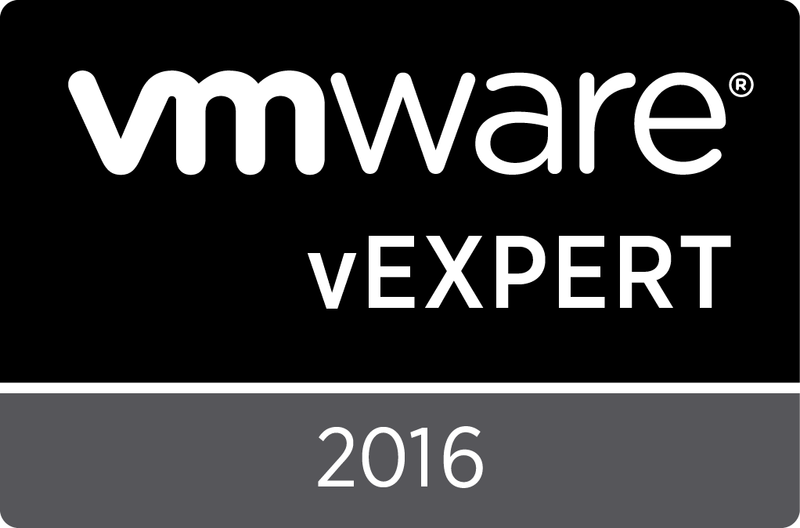 Now you all are probably like kool so it’s a neat looking title, but it’s so much more than that, namely speaking VMware provides licensing for their VMware products for the entire year of the title. 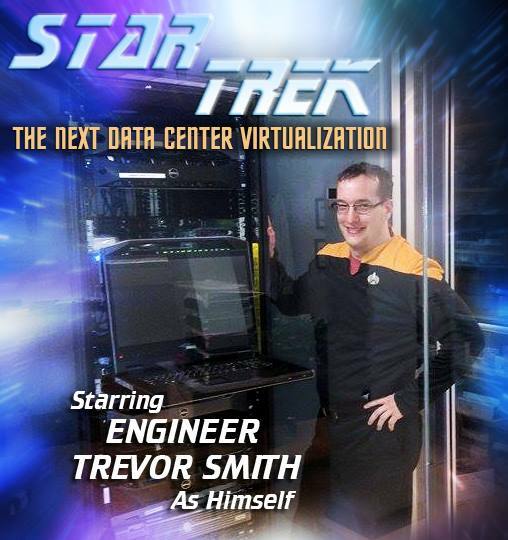 This licensing if you bought it would cost 10’s of thousands of dollars retail, what this allows you to do in make a home-lab, like the one on my blog, so you can play with VMware products in the comfort of your home and not with screaming end-user complaining about something you broke. Additionally, VMware vExpert gives you access to free licensing and other offers from countless VMware Industry partners like Veeam, Trend Micro, Symantec, Brocade, etc; all of which if you didn’t apply for this free-to-join community would cost you out-of-pocket. It’s truly a no brainer, apply today! 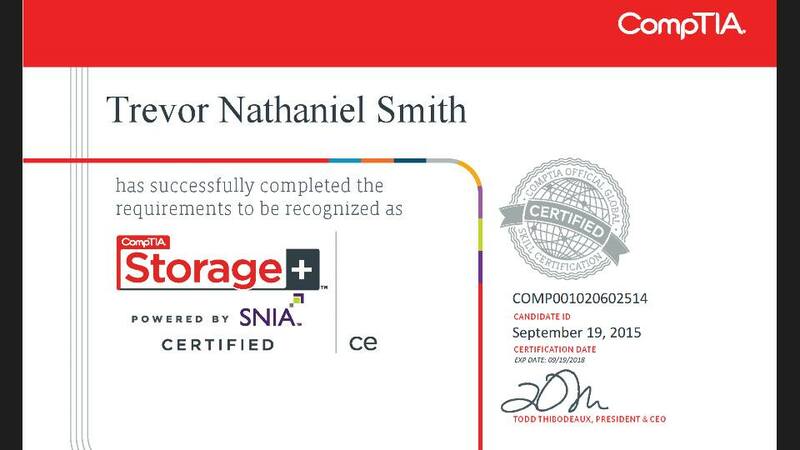 Took the CompTIA Storage + exam on Saturday and passed, it was a pretty straightforward exam, I enjoyed it quite a bit. The study prep for it was also nice to learn, learned a number of things that will follow me through in my datacenter and system administration roles. Will use the knowledge from it to make effective datacenter decision moving forward, and I will have ap lan on my shelf for the book for reference. Storage Networking book by Nigel Poulon. Reading an article online today about a fix to an issue involving Windows Server 2008 R2 and it’s write performance to a Back-End SAN it made me curious. Since in a VMware world, especially, your always looking for way to improve back-end performance for SQL and other write intensive servers/applications and bleed as much perofrmance as possible. After applying this hotfix perofrmance improved for Writes as-well as on reads. So the last few days I’ve been using Veeam’s Backup program for backing up VM’s at work to give the tool a try and I really like it. 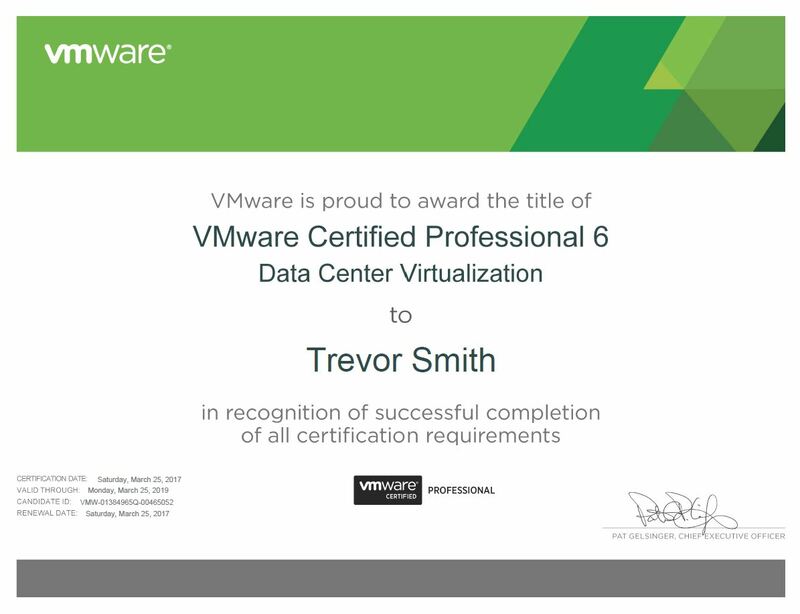 Last week I got the VMware vExpert Award and I found out I can have Veeam Backup and Replication v8 for 1 year for my home-lab and I’ve been giving it a try. I like it quite a bit thus far and I might very well push for it at my work so we can have outstanding backups!!!!! CompTIA Storage + Exam September 12th and Project + on the 19th!!!! So I’m adding pain to misery to my certification madness. 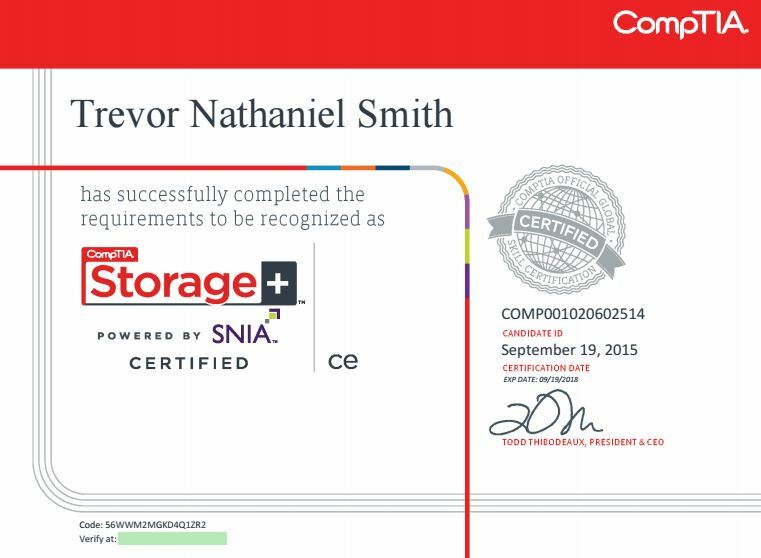 Since CompTIA announced that on Jan. 15th 2015 they will be discontinuing Storage + and I’ve always wanted it I’ve added the Storage + exam prep to my Cisco ICDN2 study time as-well. So since I’m a man of goals and pushing my knowledge, I’ve schedule the exam for the 19th of September. I’ve finished Nigel’s book on the subject and now I’m doing Pluralsight and CBT Nuggets video review leading up to the exam. Adding pain to insult and doing Project + on the following weekend. On a side note my ICDN2 exam is October 24th. My goal is to have the Storage + and CCNA: R&S done by the end of the year. 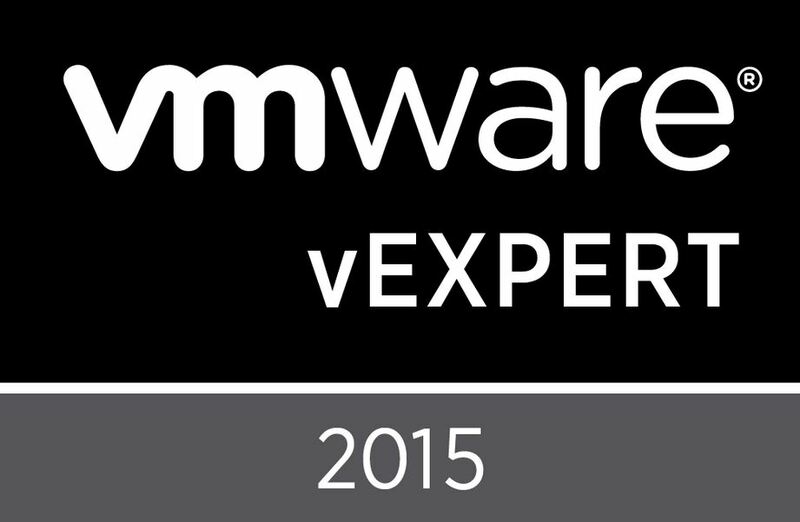 I got the VMware vExper 2015 award for being an active member of the VMware community. Looking forward to offer whatever I can to people that have questions as always with a helpful and kind personality. So I’m going to do something new for my blog and that is to at-least make monthly updates to my progression for the month. This month has been busy I’ve been studying like a banshie for the CCNA exam while at the same time work on a project at work. I’ve schedule my exam for the 29th of June, now that the massive work-project, explained below, is done and I’ve been re-focusing on my studies. 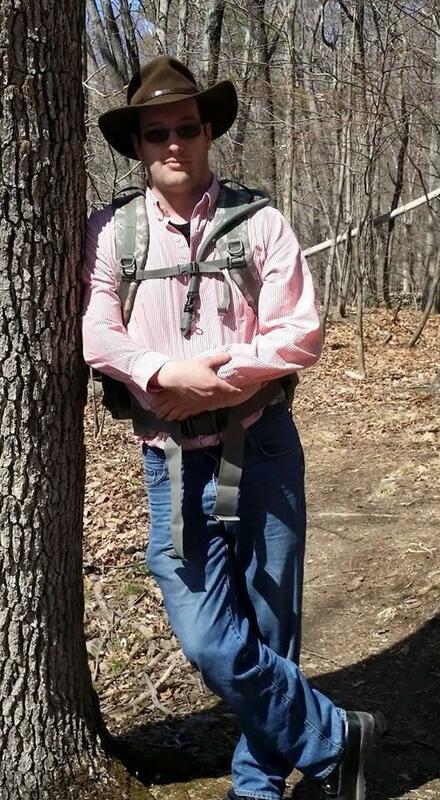 On a non-technical note I completed a 22 mile hike around Bear Mountain, CT on the weekend of 16th of May and that was pretty amazing. 1. (2) new Dell R700 series servers on Dual Xeon HT-enabled processors with 128 GB’s of RAM each with 8 gigabit nics w/ internal flash for ESXi 5.5. 2. 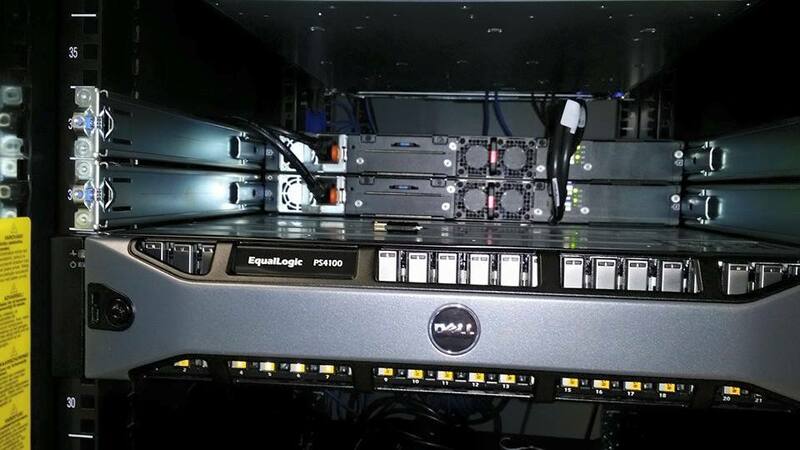 Equalogic 4100S SAN with 18 TB’s in a RAID 10. 3. 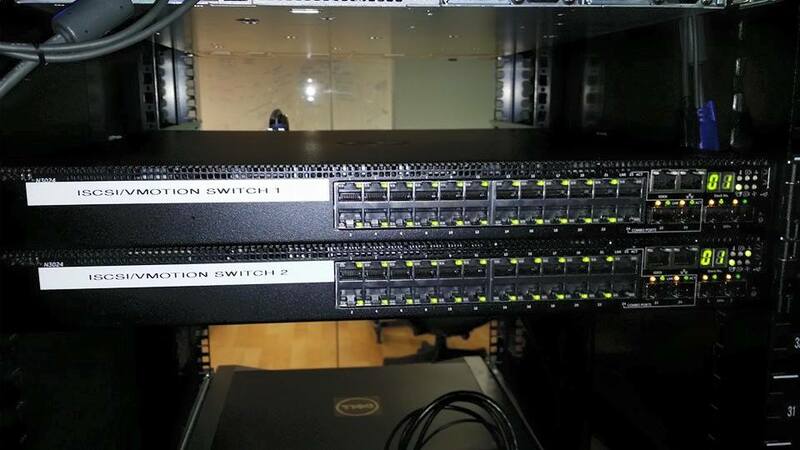 (2) Dell N3048 L3 switches in a super-stack for iSCSI/vMotion only traffic – completely separated from production. 4. (6) Dell N2048 switches in a super-stack to replace a aging Dell 2824 switching fabric for production. This also has employed over 5+ vLAN’s now compared to the previous solo flat /24 subnet. 5. 195 minutes of APC UPS backup runtime with Network Shutdown 4.0 remote shutdown module for a DR-power-outage scenario with email alerts for a controlled-monitored shutdown if needed. 6. Network re-cabling of CAT5e and fiber uplinks for the entire network replacing aging CAT 3/5 drops w/ proper punch-down placement and cable management. 7. 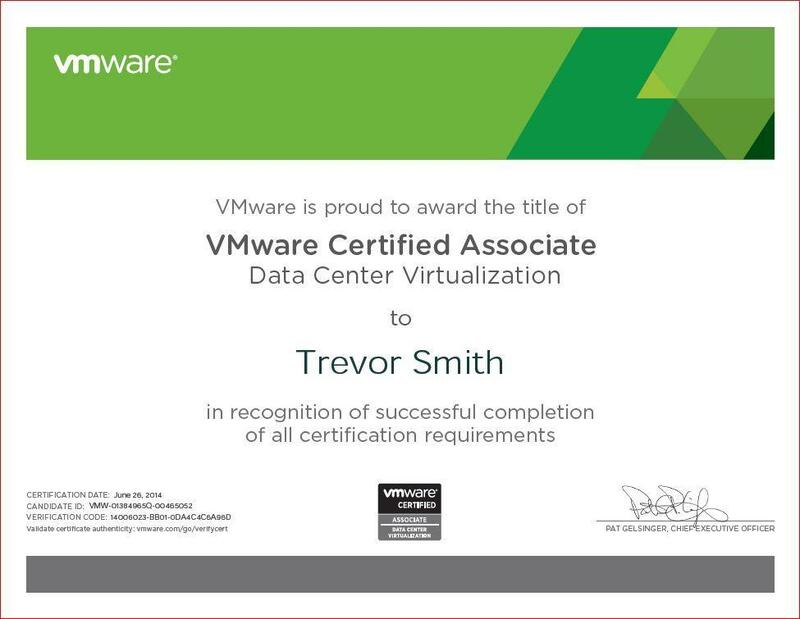 Employment of a complete VMware Data Center platform with ESXi, vCenter, vCops, VUM, svMotion, vMotion, comprehensive snapshots both virtually and on the storage array, along with use of Backup Assist for backups of the VMware assets. 8. Complete Server Physical-to-Virtual Migration of all server assets with a redundant solo DC “outside of cookie jar” setup for domain fault-tolerance with a an affinity rule for ‘Core’ servers to live on the same host for inter-vSwitch performance benefits. 1. Consolidation of server assets into a centrally managed infrastructure which now allows for greater ease of administrative/resource management, aggregated performance and disaster recovery. 2. Server “right-sizing” for all servers to adjust for higher resources pools which resulting in a 50% performance increase across the board. 3. With the deployment of a SAN for storage, we gained the performance of a centralized array for all servers to access which resulted in a 46% increase in IO speeds for high-demand servers such as our ERP application and SQL databases. 4. With a properly designed network infrastructure broadcasts and security are controlled now with the proper deployment of vLAN’s and ACL’s as-well as performance increases from network segmentation that now all now lives on a 228 Gpbs throughput core switching fabric. The network re-design coupled with the network re-cabling improve network performance drastically from proper placement of cabling away from EMI and the removal of aging CAT 3/5 cabling. 5. Cost savings, by reducing the server footprint we’ve reduced out power costs of the 20+ servers into just a few servers while at the same time reduced our cooling needs. 6. Stability, with the entire server infrastructure we’ve been able to maintain a higher up-time that previously achieved which is amazing coming from a company that in the past was accustomed to daily server crashes which equated into lost revenue. I’d like to say a special thanks to the guys/gals over at Techexams.net; your invaluable insight into my questions has been hands-down essential, and I’d like to thank my co-worker Juan Ayala for being super supportive, also for my parents and friends who said I was estranged from them but in-fact I was just dedicated to completing the project.